OMG!! My Mulberry oversized "Alexa" bag has finally traveled over the Atlantic ocean & arrived to my office today! I am so excited I almost pee on my pants! LOL. 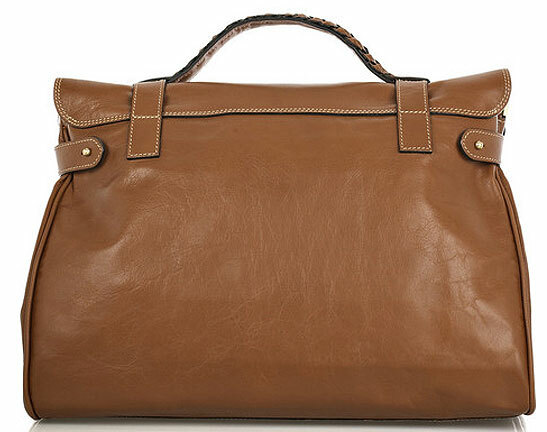 It's just the perfect Unisex bag that's great for a woman or man to carry! Inspired by UK style icon Alexa Chung's uptown chic & downtown cool style, this new "IT" bag has been on high demand and sold out at every single store all over the world! 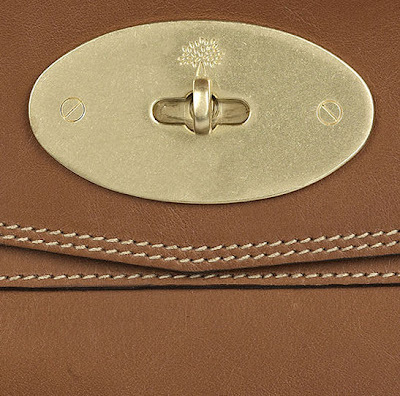 Just if you are not familiar with Mulberry bags, The "Alexa" bag is the perfect way to discover this super fabulous band! Yes, many people said... "Oh, the IT bag is so over!" well, I said they are so wrong! The "Alexa" bag had started a worldwide frenzies among all the fashionistas! trying to land their well manicured hands on one of this bag! 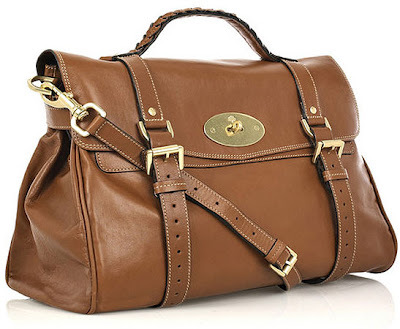 Even tho I have a good collection of high-end bags includes Chanel, Prada, Alexander McQueen, JP Tods, Fendi & Balenciaga just to name a few, but Mulberry has always had a spot in my heart and I can't get enough of their fabulous bags! 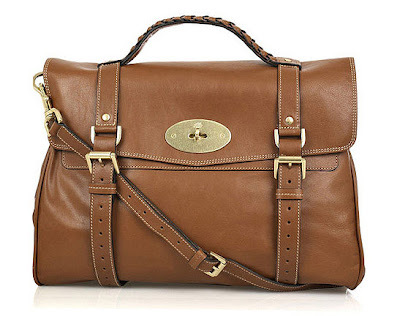 My very first Mulberry bag was their signature "Bayswater" bag! it kinda reminds me of the super fabulous Hermes Birkin but without the $15,000 price tag! it's super roomy, light weight ( Hermes Birkin is heavy!! ). The oversized Alexa bag I got today is an updated version of the "Bayswater" bag with a twist.
" It reflects one of the maor seasonal themes of schoolgirl naivety and effortless charm" , said by Mulberry. The bag is made of buffalo-leather satchel-style shoulder bag with gold-tone hardware. 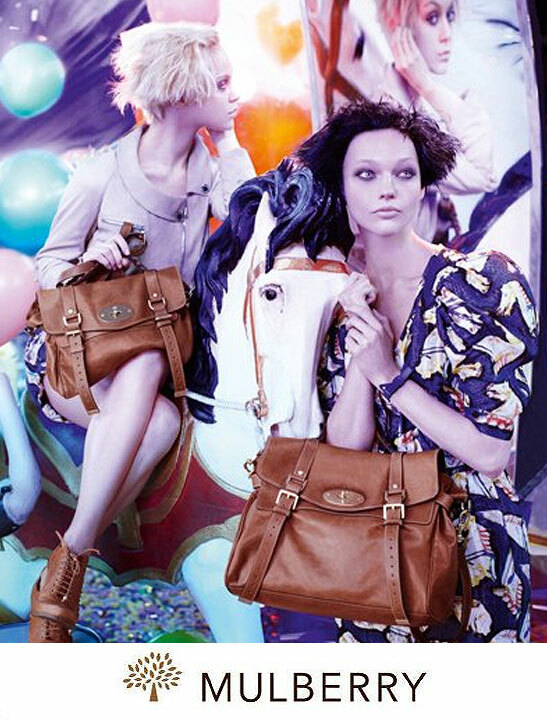 Mulberry bag has a plaited top handle, a detachable shoulder strap, a fold-over flap with magnetic press-stud fastening buckled tabs, a twist lock fastening at front, tabs at sides to adjust, internal pouch and zipped pockets and is fully lined in designer-stamped gray twill. 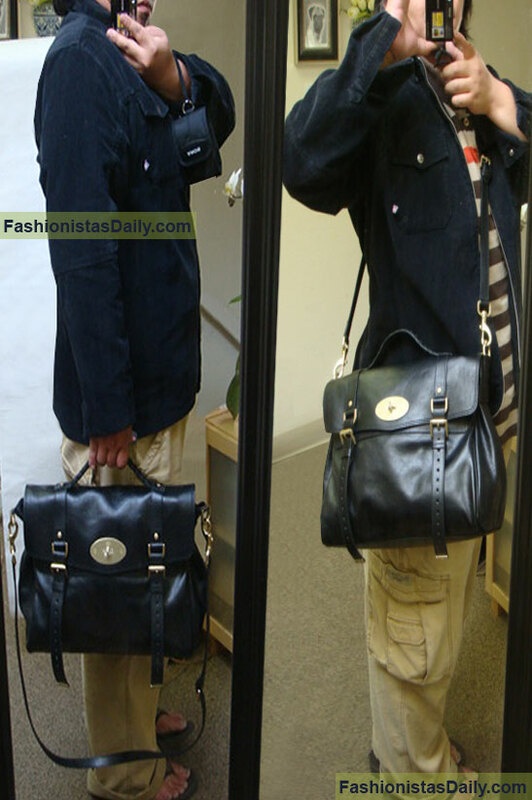 • This oversized handbag fits over the shoulder, across the body or can be worn in the crook of the arm. Click on the video player below to see Mulberry's Spring Summer 2010 Fashion Show! 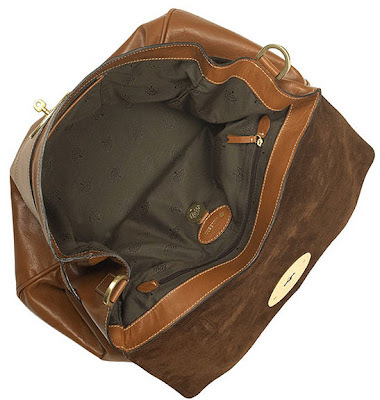 This bag is SO amazing I can't wait to own it!